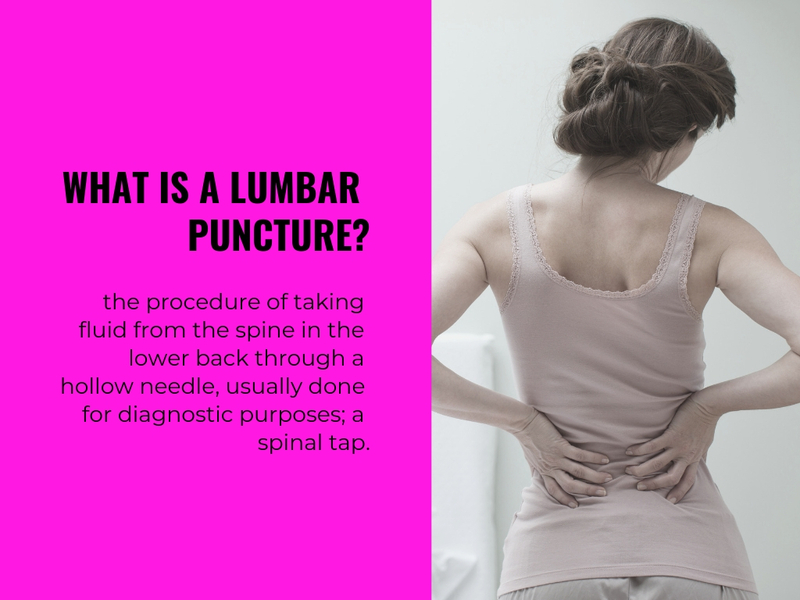 Lumbar Puncture – Does it hurt? I layed on the gurney, looking at the IV bag and the rapid drip of the caffeine and sodium benzoate into my arm. It was a busy Friday in the emergency room. I listened to the sounds of a man wretch repeatedly in the next bay. I watched the rush of staff move back and forth down the halls to attend to a steady stream of patients. I was triaged from a hallway stretcher to a brightly lit private room – its equipment all tagged by someone supremely excited to exercise their skills with a label maker. I appreciated their fastidiousness. I studied the sizes of the intubation tubes as I laid back in the hopes of physical relief. Prior to this ER visit, I had experienced several days of a crunching, body- seizing kind of pain that would not bend to ibuprofen and increased hydration. I had a lumbar puncture just days before; a next step in a long series of diagnostics on the road that is neuro-demyelinating disease. The procedure itself went smoothly. It was high-tech, pain-free, and without incident. I went home numbed up and relaxed, intent on “taking it easy” and resuming a slower, but engaged pace of day-to-day life.